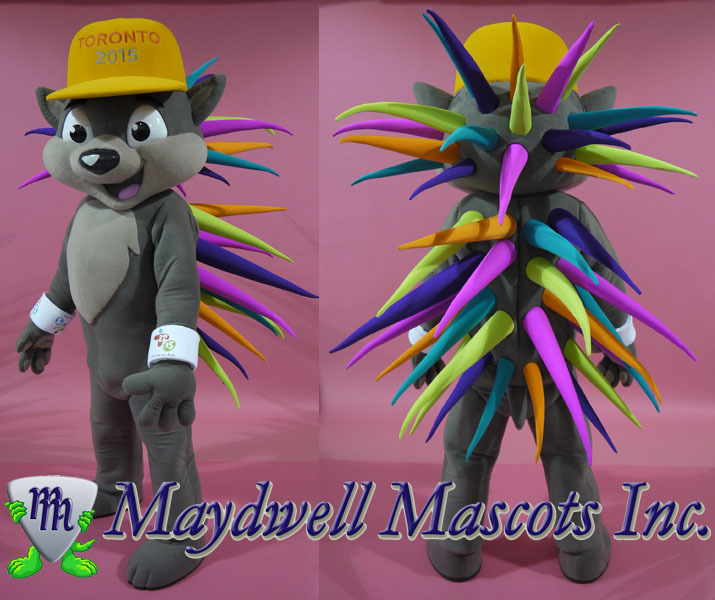 Working with the Toronto 2015 Pan Am / Parapan Games Organization to create the mascot was a great opportunity for Maydwell Mascots Inc. The Pan Am mascot presented was a challenge in keeping accurate to the design. The porcupine’s 41 quills (each representing a country participating in the games) had to be light and animated yet structural enough to maintain form. Check out the end result of Pachi the Porcupine Mascot. The project is a huge success.